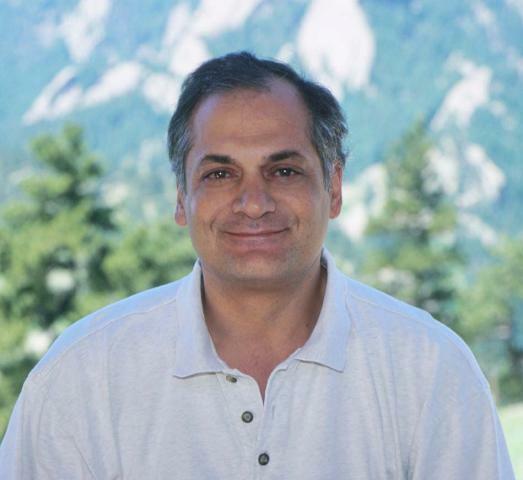 Sasha Madronich is a senior scientist in the Atmospheric Chemistry Observations and Modeling (ACOM) Labooratory of the National Center for Atmospheric Research (NCAR). He studied engineering physics (BS 1974, MEng 1975) and electrical engineering (MS 1977) at Cornell University, and chemistry at York University (PhD 1982) with a dissertation on stratospheric photolysis reactions. From 1982 to 1985 he was a staff physicist with AeroChem Research Labs in Princeton NJ, focusing on chemical kinetic measurements at combustion temperatures. In 1985 he joined NCAR initially to work on the Regional Acid Precipitation Model, and later heading the Theoretical Studies and Modeling section of ACOM. His research focuses on chemical pathways that control the atmospheric life cycles of hydrocarbons, nitrogen oxides, aerosols, ozone and other oxidants; and on atmospheric radiative transfer at ultraviolet wavelengths with effects on photochemistry and the biosphere. He co-authored over 150 peer-reviewed publications and is listed among the ISI Highly Cited Researchers in Geosciences. He participates in international assessments (WMO/IPCC/UNEP) of the state of the atmosphere, and was cited for contributions underlying the award of the 2007 Nobel Peace Prize to the IPCC.